An attractive and interesting member of the foxglove family (unrelated to fuchsia's) appreciated for its ornamental flowers and edible fruits. Fruits are not generally well-regarded, but are edible and sweet to the mouth. 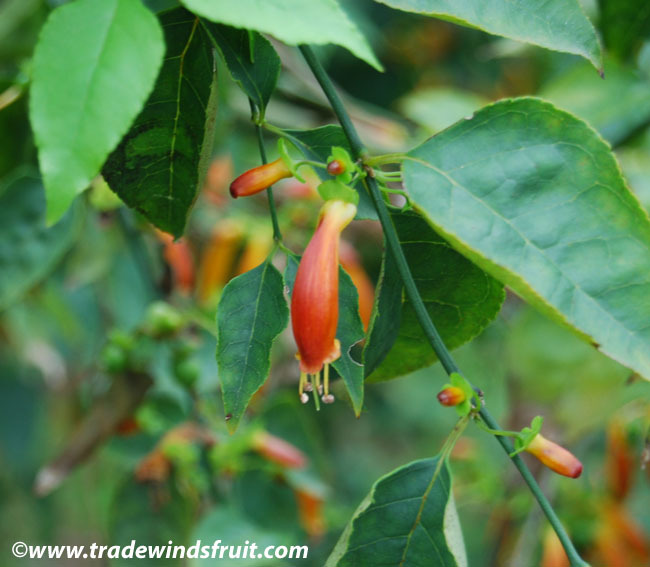 Seeds are not available for the Tree Fuchsia. Please visit our seed store to view current selections. Seeds were last available in August 2017. A shrubby tree, usually growing to 12-20ft, though it can reach 50ft in some locations. 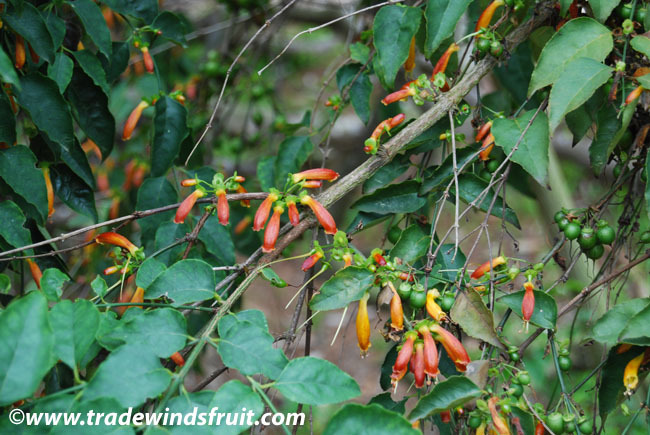 The pretty, orange-yellow, tubular flowers are quite reminiscent of Fuchsia flowers and are borne directly off of the trunk and branches in Spring. The flowers attract hummingbirds. 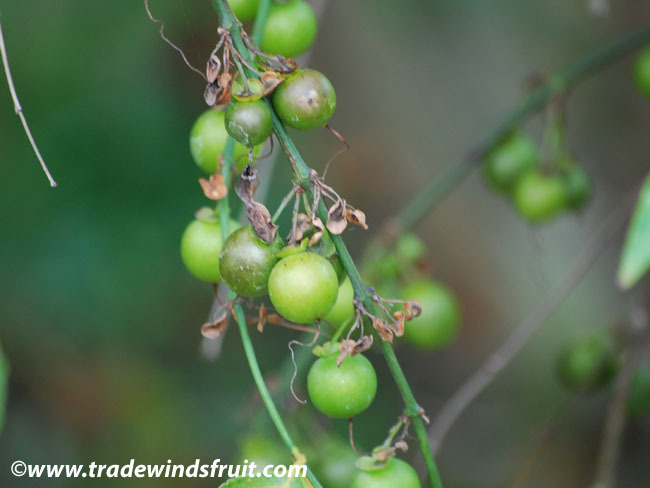 Fleshy, thin walled fruits follow and ripen to a green-black color. The pulp is translucent, with numerous small black seeds. Hardy to at least 20F, possibly lower. 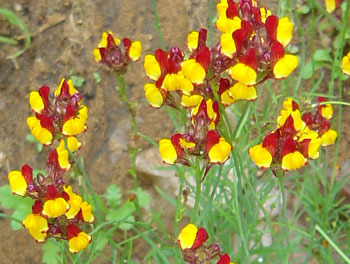 Grows well in mildly arid climates. Water during warm months, but the tree will tolerate some drought. Grow in full sun or part shade. Grow in well-drained soil. By seeds, which should be planted in well-drained soil and kept at 75-90F. Seeds generally take 6-12 weeks to germinate, though occasionally longer. The tree is also propagated by softwood cuttings, which can be rooted using rooting hormone. 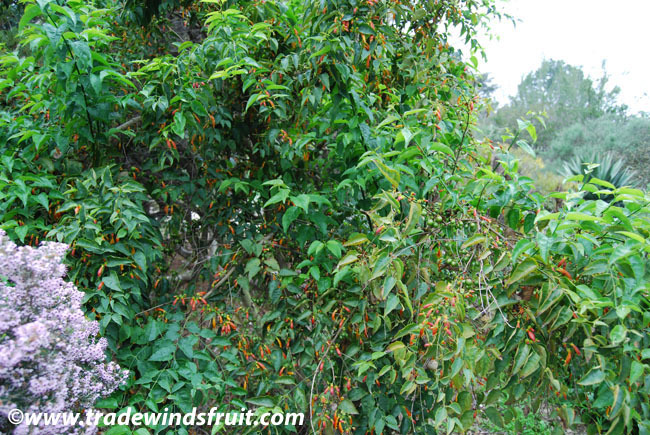 Mainly grown as an ornamental, though its fruits are edible and are quite popular with birds. The Zulu's have used this tree for traditional medicine and is used to treat earaches. The tree also has some religious significance and is used in offerings to spirits. Native to forests and scrub lands around the Cape in South Africa and along the Eastern coast of South Africa, north to Zimbabwe.